For each age group we will have one U14, two U16 teams, U19 vying to compete and train for the National Indoor Tournaments or any other tournament. These athletes will be required to practice two or three times per week. This will be defined as one or two Indoor Skills Training session(s) during the week (either Tolland or Middletown) at an indoor location nearest to where the athlete resides and one team practice on Sundays. 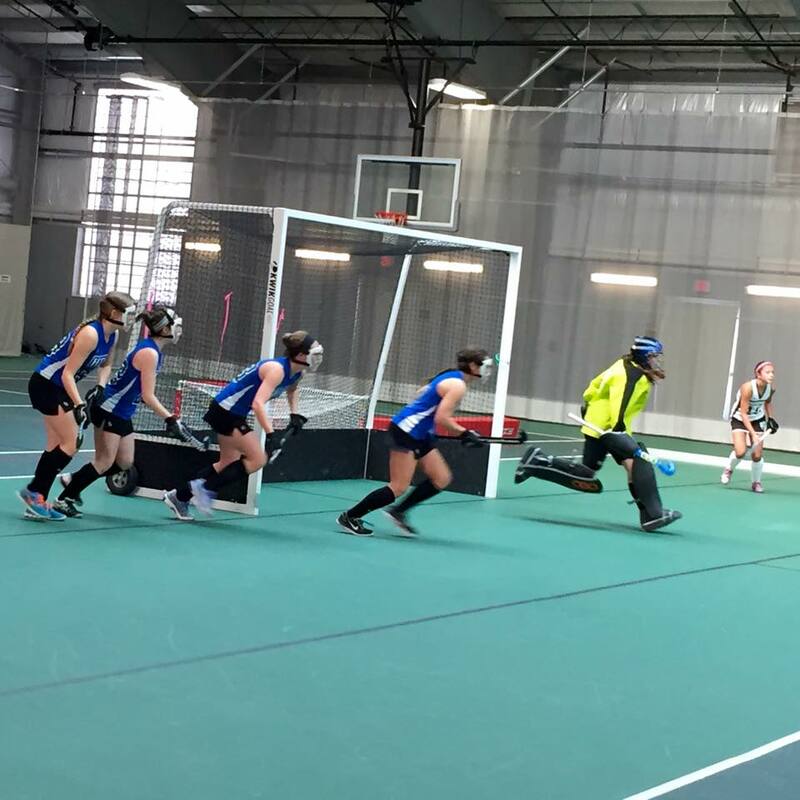 We are adding in another U19 Team that will train primarily at Hotchkiss on Sunday evenings (only exceptions will be leading up to NIQS a couple Friday night practices might be added in to get more practice time in Middletown). This is a travel squad. All participants will be required to attend tournaments throughout the indoor season. There may be additional and separate fees associated with the NITs, the other tournaments are included in the registration fee. Tryouts: All interested participants must attend at least 1 date! Tolland/Middletown (Main program): Please make every effort to attend the Nov 18th try-out if possible! All indoor travel team members MUST have their own Penalty Corner masks. The indoor travel team season registration links will be sent out after tryouts and team selections. Deposits will be due on Nov 24th. 15% off discount if athlete signs up for full season club membership at another practice site. Contact Darren for discount.